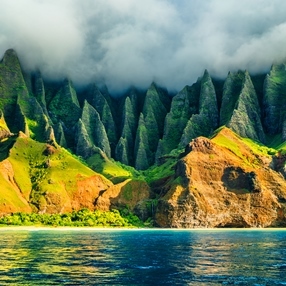 The Hawaii Islands are a tropical paradise steeped in a spectacular natural landscape and ancient culture. They are full of excitement and personality. So if you are moving to this amazing place, be ready for the tantalizing charm and shockingly good looks of these beautiful islands. The only problem is that shipping boxes to Hawaii requires much more planning than a move within the mainland United States. In fact, since these islands are surrounded by the Pacific Ocean, there are only a few options to get your belongings to your new home. Let’s look at each of them! When it comes to shipping boxes to Hawaii, you can send them through the mail, or you can hire professional freight shippers for this job. Mailing your items is a good option for those who are moving with very little. In such a case, shipping boxes to Hawaii via UPS, FedEx, or USPS can save you time, but it can also be pretty expensive, especially if you are moving from Minnesota or Wisconsin. Another option is to hire reliable freight shippers operating across the United States and internationally. It is actually the most popular way of shipping boxes to Hawaii because it is usually much more affordable as compared to sending items through the mail. Moreover, it is the only way if you are moving an entire household. After all, such items as furniture, equipment, mattresses, musical instruments, and other large and heavy objects can be transported to Hawaii only by sea. Besides, if you are a lucky owner of valuable paintings or sculptures, you need to hire not just any but a specialized fine art shipping company able to deliver your precious possessions intact. At Fine Art Shippers, we offer the safest and most convenient way to transport art, antiques, furniture, and a whole range of other items of any size and weight across the United States. Besides, shipping boxes to Hawaii with us is affordable because all our services are reasonably priced to meet the budget of the average customer. Furthermore, Fine Art Shippers is one of the best companies in New York City offering a full range of packing and crating services in-house, without outsourcing this important step of the moving process to any third parties. In other words, whatever help with relocation to Hawaii you need, Fine Art Shippers is your best option. Contact our team now to know how you can benefit from our freight shipping services!